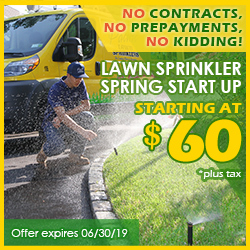 Pacific Lawn Sprinklers has been providing outstanding lawn sprinkler service to the Pascack Valley and the surrounding areas since 1980. Pacific has been utilizing it’s regional managed but locally delivered service program for over years. This makes Pacific personnel closely follow the requirements of the Pascack Valley municipalities laws when performing every new installation or even during routine garden sprinkler maintenance. With our “Bright Yellow” service vehicles frequently seen on The Garden State Parkway, Kinderkamack Road and Pascack Road - service is just a phone call away. Notable local properties such as The Bristal at Woodcliff Lake, and residents of The Enclave at Montvale rely heavily on Pacific Lawn Sprinklers for both their lawn sprinkler installation and service of their irrigation systems. 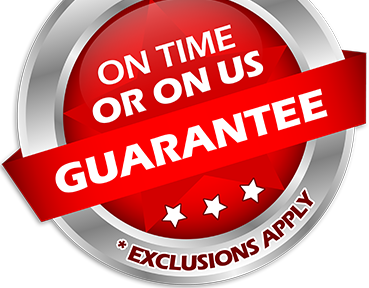 Backed by a 100% CUSTOMER SATISFACTION GUARANTEE and an exclusive “ON TIME OR ON US GUARANTEE!”are the reasons Pacific is the company to call! Longstanding symbols of Pascack Valley such as The Centennial Causeway, or The Iron Horse Restaurant, represent a neighborhood appreciation towards hard work. For those spending time at The Edgewood Country Club, take notice to it's beautifully kept grounds and the peacefulness it provides. Remember that irrigation is the necessary element to all of these wonderful attractions. Pacific has labored for over 34 years to deliver this type of unbeatable service and repairs of sprinkler systems. 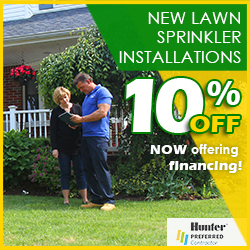 Pacific is the only lawn sprinkler and landscape lighting company in Pascack Valley to GUARANTEE your scheduled appointment and GUARANTEE that you will be satisfied with the experience. 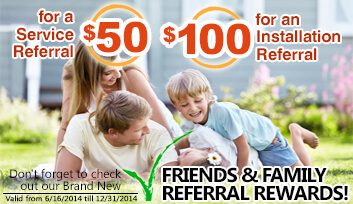 Trust in Pacific Lawn Sprinklers for installations of new lawn sprinkler systems and repairs of existing systems. Don't forget to inquire about our landscape lighting/holiday lighting and drainage services as well!